3CDental offers opportunities for advancements and you are encouraged to work hard to reach your goals. We have countless examples of team members who have started in one position and grown into higher positions as a result of their dedication and determination. 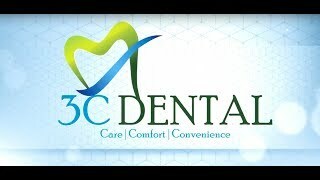 Are you a future 3CDental employee? The highest character – Our values are the highest in the industry. So are yours. Servant leader attitude – Always smiling and looking to serve. Culture fit – Enthusiastic, hardworking, helpful to everyone in the office. Great work ethic – You show up on time, you do more than expected. Team player – You support other employees with kindness and eagerness. Self-starter – You see a problem and take care of it. Self disciplined & motivated – Your love of your job comes through to our patients. Future leaders – Every person we hire we expect to quickly move to the next level.